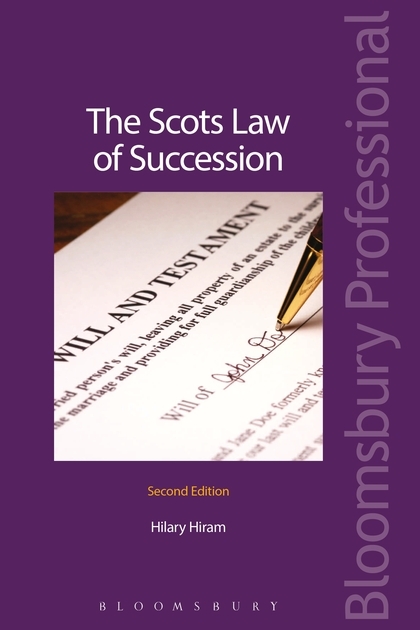 Scots Law of Succession offers a straightforward approach to this often confusing area of law. As well as providing a clear yet comprehensive exposition of the law, the text provides a commentary on the background and possible difficulties of interpretation of the rules of succession. Examples and illustrations are provided where appropriate and succession is placed in its broader context of property law, family law and trusts. This edition takes into account the Family Law (Scotland) Bill 2005 and Civil Partnership Act with the addition of new cases and updates to statutory entitlements.